Feel as bright as a star in the Reef Stargazer Sassy flip flops. 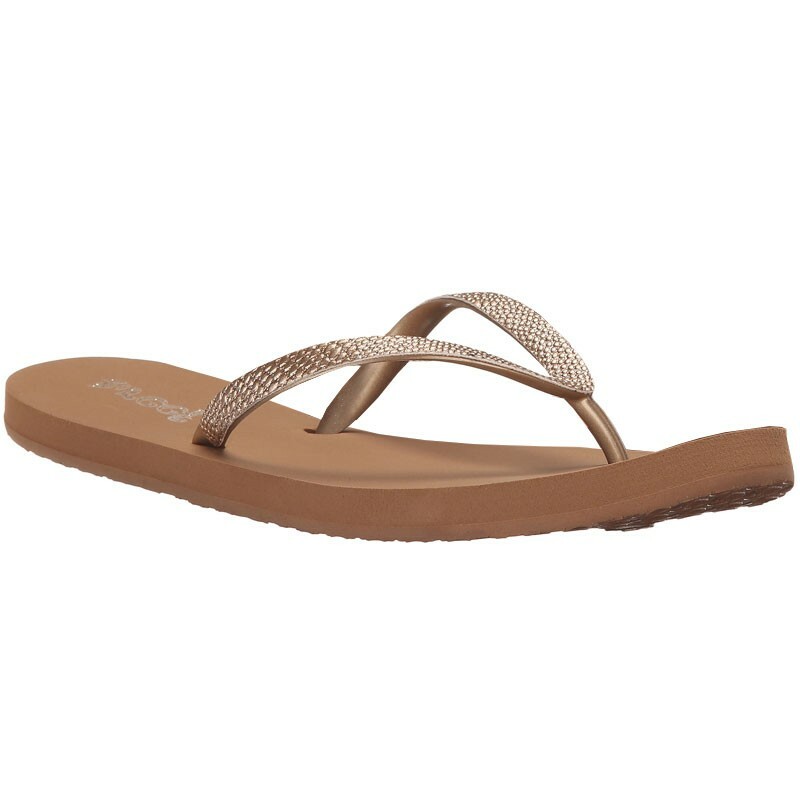 These stylish sandals shine with reptile emboss faux leather straps that are dusted with glitter for even more sheen. The soft satin lining feels silky against the skin, and the EVA footbed offers superior squishy comfort with each step. A durable rubber outsole lets you take each step with confidence. Shine as bright as the star you are in the Reef Stargazer Sassy thong style sandals.